Yesterday was the one month mark for Stephen’s mission. Hooray! He is doing well. Loves it so far. Want to see a pic? I made these brownies the other day and mailed them off to Stephen. They are super moist and chewy. Not quite as dense asWilliams Sonoma Triple Chocolate Brownies(my favorite so far for mailing) Click on the link above for recipe and packaging instructions. 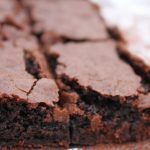 Cook’s Illustrated Chewy Brownies are a little more on the tender side. 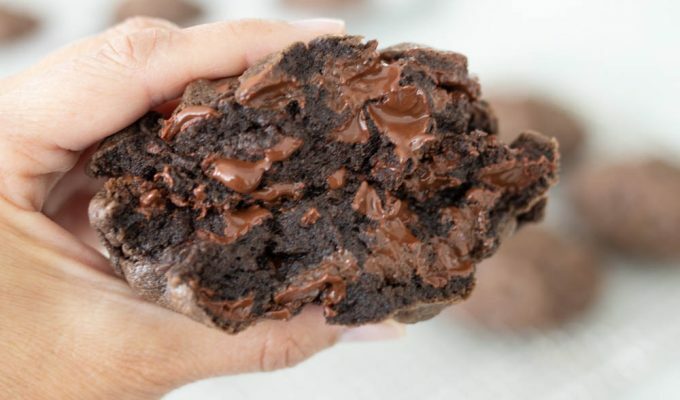 Really great chocolate flavor and amazingly moist and chewy. Since we live an hour away from the MTC, I can use same day package service from Bountiful to Provo for a few dollars. I’ve sent cookies, cinnamon rolls, brownies. No worries so far about cookies crumbling , cinnamon rolls being smashed or brownies drying out. In a month, when Stephen leaves the Mission Training Center and heads to Mexico I know this will all change. Bountiful, Utah, to Puebla, Mexico is a bit more of a jaunt! So I’ll keep baking and sharing. Finding the treat that travels best. This is my mission inlife. Place rack on middle rack in oven. Preheat oven to 350. Make a foil liner for a 9x 13 pan by turning the baking pan pan upside down. Tear a piece of foil the length of the pan, leaving extra (about 2 inches) hanging down on both ends. Form the foil over the outside of the pan, Then flip the pan over, and place the molded foil to the inside of the pan. Spray the foil with cooking spray. Whisk cocoa and boiling water together in a large bowl until smooth. Add unsweetened chocolate and whisk until chocolate is melted. Whisk in melted butter and oil. Mixture may look curdled at this point. Add eggs, egg yolks and vanilla. Continue to whisk until smooth. Whisk in sugar until fully incorporated. Using rubber spatula, fold in flour, salt and bittersweet chocolate all at once, taking care to not over mix. Scrape batter into prepared pan and bake until toothpick inserted in center comes out with a few moist crumbs attached, about 30-40 minutes. Do not over cook. Transfer pan to wire rack and let cool completely, about 1 to 1 1/2 hours. Remove from pan using foil liner to lift brownies out of pan. Cut when cooled. I happened upon your blog, and am enjoying it much. You will be so grateful you baked all those goodies! 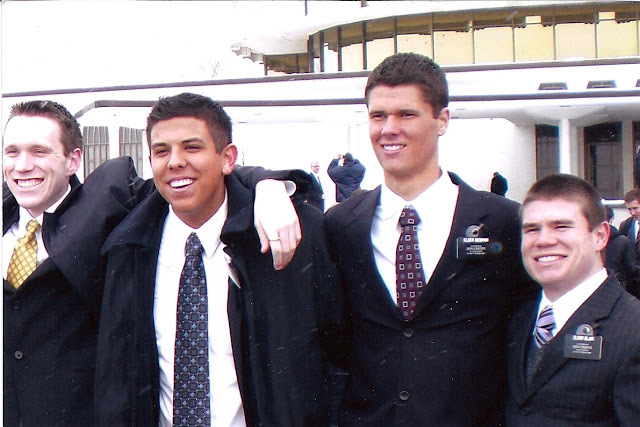 My eldest son is serving in Buenos Aires – I baked every week for him when he was in the MTC – we live in NY. It did get a bit spendy. He now has 6 months left (so exciting!) and I've been so grateful that I baked for him when I could. I've missed it so much that my latest package to him contained the ingredients for no-bake cookies. He & his companion loved them! No bake cookies are a great idea! I've adopted the same thought as you – I know the packages will be few and far between once he leaves for Mexico, so I'm taking advantage now! Si, What great brownies. I used the same day service for the MTC as well. My daughter is 2 months away from coming home from her mission. Can't wait! She's in Puerto Rico. It went by faster than I hoped. Thank goodness. si, i recognized your brownies over at remod! they look so yummy! i love that you do all the experimenting for us, how generous of you to share your knowledge and your beautiful photos! your son is lucky to have such a sweet mom! What have you found ships the best if it’s going to take 4-5 days? I’m sending a Fed Ex package to NZ and I love your brownies on here I think they are the Harmons ones. Any tips or suggestions? Or would a different thing ship better? I know he loves lemon bars and brownies but I thought lemon bars would be a mess. All of your recipes are great! !